Valentine’s Day is this week! Whether you plan on staying in with friends, or going out with a special someone, this magical day is all about love. Here are some fun ideas to make Thursday a memorable Valentine’s Day. Valentine’s Day is filled with delicious deals from Papa Johns’ heart shaped pizza to Baskin Robins’ Love and Kisses Sundae! 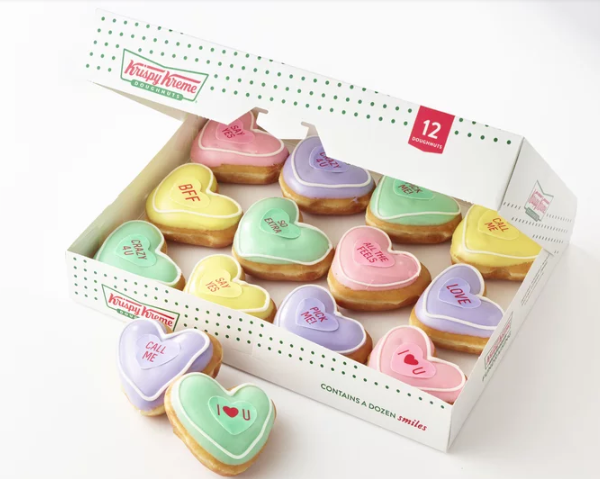 This year, Krispy Kreme is selling conversation heart-shaped doughnuts topped with sweet phrases and four filling options: Cake Batter, Strawberries & KREME™, Raspberry Filled, and Chocolate KREME™ Filled. These donuts won’t be here for long, so get them while they’re hot! 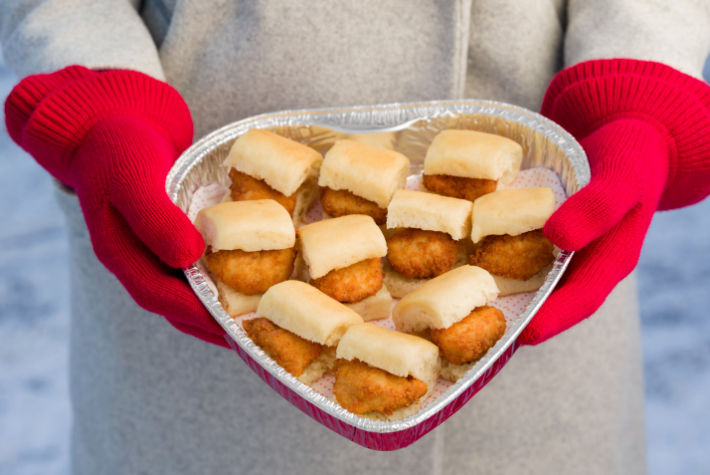 Chick-Fil-A is offering 30-count nuggets, 10-count Chick-n-Minis, and 6-count chocolate chip cookies, each in heart-shaped tins! Grab one (or all) of these tins, and go for a picnic! It’s still chilly outside, making a pillow fort inside will be just as fun. A fun homemade treat and gift is a cookie making kit! Buy some frosting, cookie dough, sprinkles, and some cookie cutters. Put it all in a basket with some festive tissue paper, and spend the night baking! Painting is not only relaxing, but a great bonding activity! Get some canvases, watercolor or acrylic paints, and go crazy! Some fun ideas would be to try painting portraits of each other or painting two halves of a full piece to make a masterpiece. If you don’t want to buy canvases, just find some old shoes lying around and paint those! Use some sharpies and release your inner artist. For a sweet and meaningful present, write some messages or memories on popsicle sticks! Stick them in a mason jar for the other person to look at when they’re feeling down. Bowling is always fun and entertaining. This February, Bowl America in Falls Church is running a special. Each game is only $1.49 per person after 9 pm. (Before 9 pm, it’s $5.65-$6.25.) 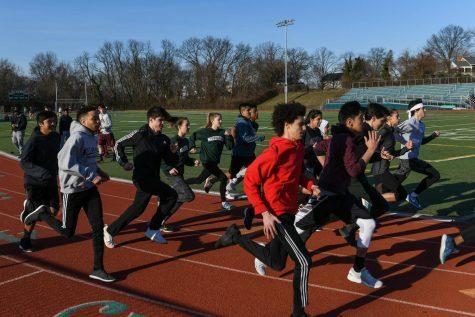 Call before you go to make sure there are lanes open. Another fun activity is ice skating! On Valentine’s Day, Pentagon Row is open until 10 pm! Admission is $9 per person, and skate rentals are $5. No matter what you do, or who you spend the day with, make it one to remember! Whether you end up staying in or going out, spend this day with someone you love.